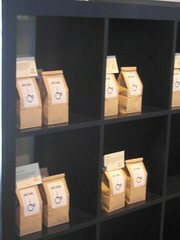 We put up cool shelves and are working on filling them with amazing single origin coffees and espresso. Come check them out! Exceptional coffee. Exceptionally Fresh. Only at caffe d’bolla!